Horizontal stripes in bold, cheery shades of color circle around rich burls of wood. available in green or orange with linen shade and brushed metal stem base. The modern design and warm wood tones of this lamp complement any environment. Made to order in the US. 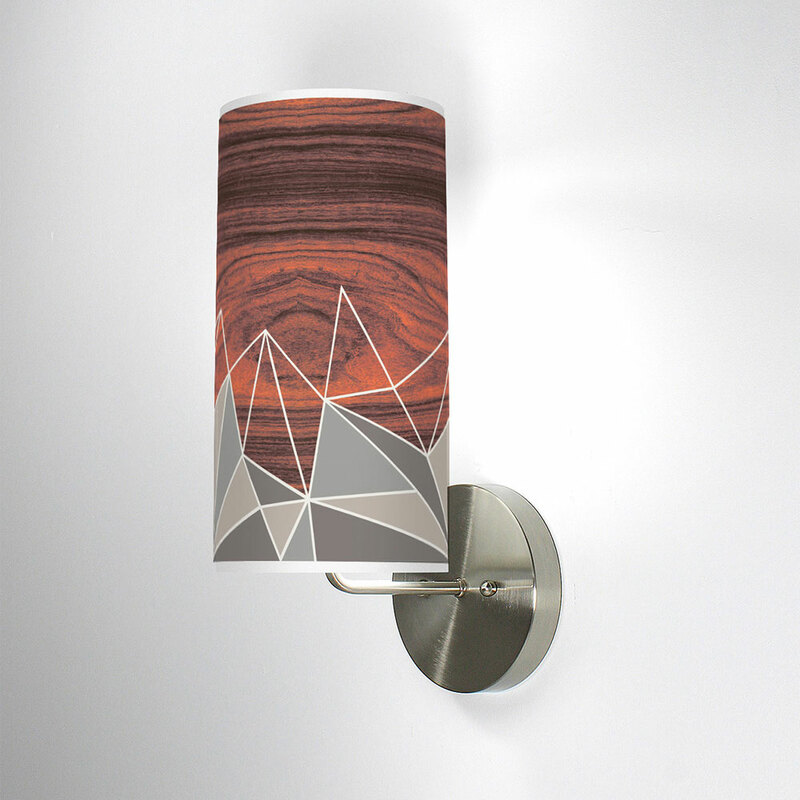 The broad lines of this lamp draw the eye across your artfully designed space. Each design is digitally printed on crisp white linen. minimal Brushed steel base. These upstanding companions are translucent when lit to enhance the beauty of your space. Generously provides both ambient and task lighting.